May 25th, 2018. 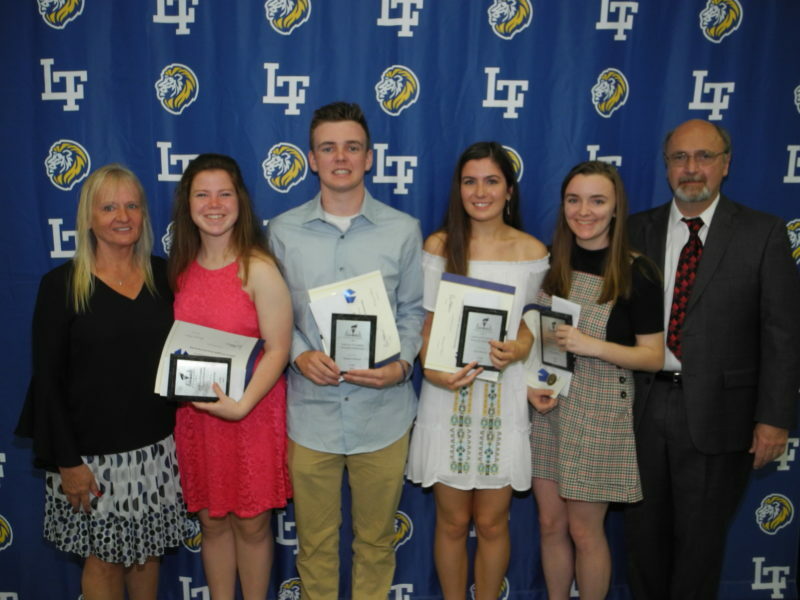 We are pleased and proud to announce the sixth, seventh, eight and ninth scholarships for the class of 2018 were awarded to Lyons Township HS. Our three category 2 scholarships are valued at $2,000 annually, renewable for four years and are valued over 4 years at $8,000. Our one category 3 scholarship is valued at $5,000 annually, renewable for four years and is valued over 4 years at $20,000! For all the information on the KJO Memorial Scholarships offered in 2018 click here. 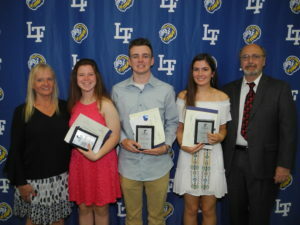 Mattigan (in the red dress) played tennis at LTHS all four years, was All-State and Captain. She raised money every summer by running a charity tennis tournament. Michael played football for four years at LTHS, he also helped at the Run For Kelli taking pictures of all the participants for our last two events. Erin Sharkey (in the white dress) ran on the cross country and track teams for four years and sang with the Madrigals for two years. Erin wrote about her volunteering with the cross country team at the Run For Kelli and how much that meant to her. 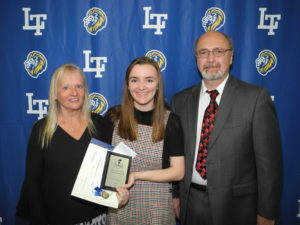 Our category 3 scholarship is awarded to Nora Dunleavy. Nora ran on the cross country team three years and joined the track team her senior year. She was part of the girls in Science Technology Engineering and Math (STEM) team all four years and was its captain for three years. Nora also volunteered at Ronald McDonald House and is a member of the Teen Advisory Board. Her essay struck a chord with the selection committee, it’s theme was appearances can be deceiving.